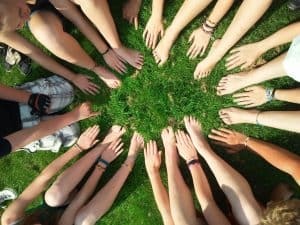 When should I sell my stock? If you have been trading for less than an hour you have probably already asked yourself this question. If we figure out the old adage of buy low and sell high, we could all live the good life. Trading however is a bit more challenging. There are indicators, systems, tips and a plethora of other options that present a rationale for selling your position. Which one do you use? 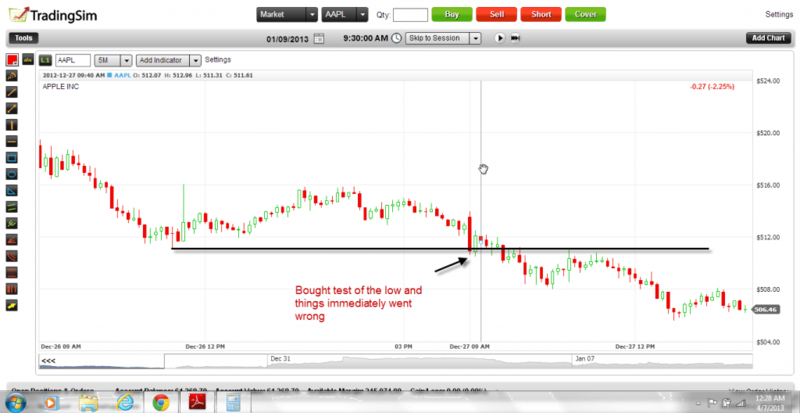 In this article we will cover a simple means to know when to exit your position. As traders we have price targets in mind before we enter a trade. While we will never admit it, on some level we expect the stock to make a b-line move directly towards our target. For new traders the level of excitement when entering a trade is about as close as you will get to reliving your 5th birthday. Unfortunately, the majority of the time the stock does not behave appropriately. At this point your emotions will start to pick up. You start to say things like to yourself like: "Do I sell, do I wait? I have made some money, why am I being greedy? My favorite stock guru told me it would go higher, so I just need to wait." Once you start thinking in an unsure manner, please pack it in and stop trading. The market does not require you to always be right, but it does require you to have strict rules and confidence in what you are doing. When Should Pete Sell His Stock? 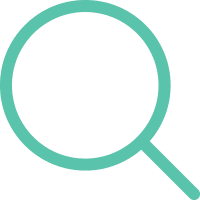 Do you know when to Sell your Stock? Make sure you are reading this closely. It's so simple you may miss it if you are day dreaming. The key to knowing when to sell is to factor in the element of time and volatility. 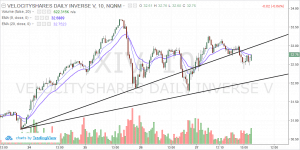 We are not going to cover volatility in this article, to read up on this topic please visit one of our most popular posts How to Trade Volatility; Back to time. When people trade they just don't think in terms of time. It's funny in a way. We really only think of money but not the amount of time required to make the big bucks in the market. In any other profession, you have the concept of a timeline. You will say to yourself that you need to start at the bottom, make manager in 7 years, director in 15 years and senior vice president in 25. You understand that things don't happen overnight and this helps you weather some of the rough times. You don't just say to yourself, I'm out of here. Well maybe you quit one or two jobs if the promotions aren't flowing, but at some point you realize you can't keep bouncing around, because who is going to want to hire you. Trading is the same way and I'm going to show you why. Pete is a fictitious character, so please don't try to Google him. Pete is a day trader. 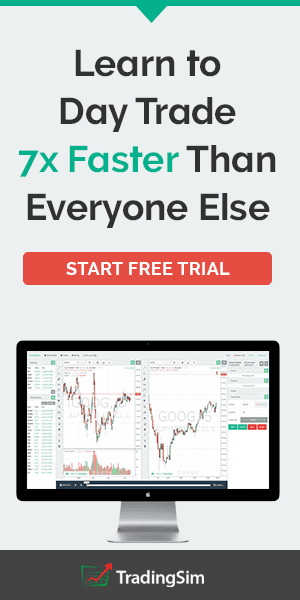 He has a system that requires him to make 1% on each and every trade. 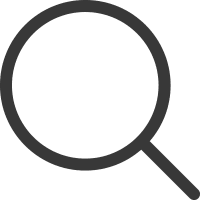 Pete read up on Tradingsim's article about volatility so he knows how to scan the market to find trades that fit his trading profile. While Pete is able to find the right top of stocks he always sells out before his profit target is hit and he doesn't know why. In order to bring in the time element to trading let's take a deep dive into the stock Facebook (FB). First we will need to build a time profile for Facebook. 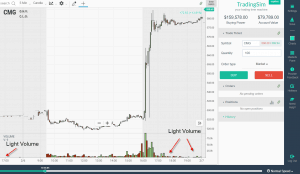 Since Pete is day trading, let's look at the 5-minute chart and we want to determine how long 1% moves have taken to materialize over the last three swing trades. The reason we are assessing the last three swings is to capture how the stock has been recently performing as an indicator of how things are likely to develop in the near future. Starting on March 13th, Facebook had a greater than 1% swing range of $27.65 down to $26.92. 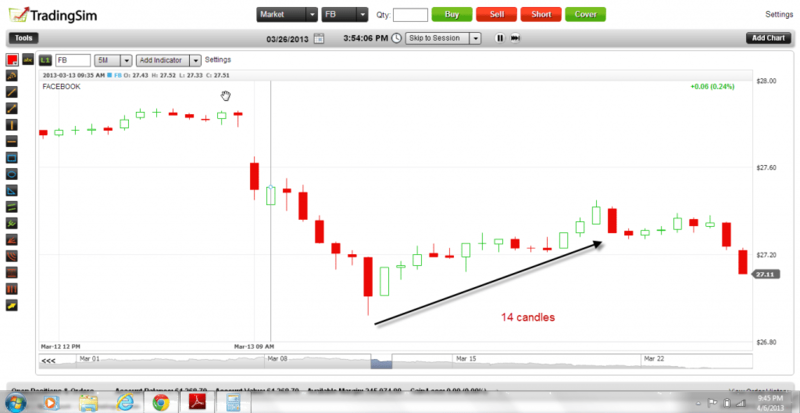 This move required 8 candlesticks to play out. This move also began after a gap down on the open, so Pete should have made a mental note that the move was likely exaggerated. 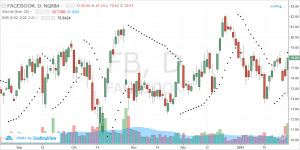 Next trade, still on March 13th, Facebook then bounced off of the midday low from the morning gap down to form another 1% move ($27.19 up to $27.45). Facebook then went on another 1% swing from $27.45 down to $27.07. 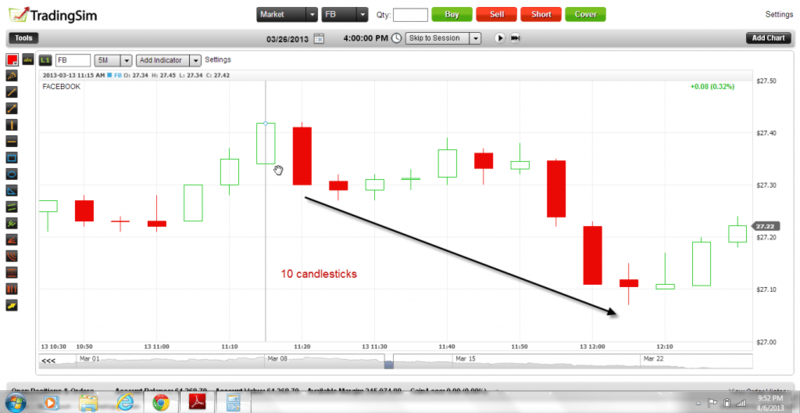 This move down required 10 candlesticks. We have now been able to establish 3 clear examples of 1% swings with Facebook. The three swings required 8, 14 and 10 candlesticks respectively. The average of these three swings are ~11 candlesticks. So, looking at this clear picture, if Pete wanted 1% or greater from FB, why would he expect this to happen in 3 or 4 candlesticks? Have you ever found yourself in this position where you are expecting a stock to move in a certain fashion? Without understanding how long recent moves have taken to develop, do you see how you are walking in the dark a bit? Before I lose you let's take this up a level. 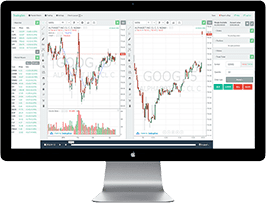 You landed on this page seeking an answer on when you should sell your stock. Since the question is posed in a way that you are long, let me now show you what Pete should do in his next long trade. Remember there are three things you should know before entering a position. First you must have a profit target in place, secondly you must know how long it will take to get there and three you must have a stop loss in place when things do not go according to plan. In Pete's case he knows that it will take Facebook a minimum of ~11 candlesticks for him to achieve his 1% profit target. While we have displayed this example on the 5-minute chart, you will find similar patterns, albeit larger ones on higher time frames, but the principle remains the same. This is the hard part of trading. When to know to cut your losses or when to cash in when you are no where near your profit target. Well, let's go back to our good old friend Pete. Remember how Pete tracked 3 swings in Facebook from the 13th of March. The very next day Pete decides to buy a test of the mornings low. He enters the position believing wholeheartedly that the trade will go his way and he will hit his 1% target. Pete's entry point was great. He waited for the market to test the morning lows on light volume and he had a tight stop below the recent low. However, the market did not move in the fashion Pete would have expected. Without having some sort of time expectation, Pete would have no reason to exit the trade prematurely. The stock reacted positively after he made the purchase and then it began to drift sideways. The newbie trader waits for the stock to continue higher and ignores the warning signs that something is off. 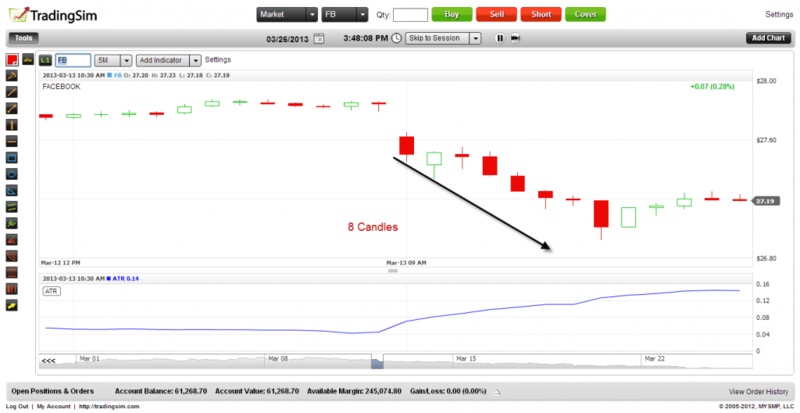 In this example you could see that Facebook did not make a run higher, but instead rolled over into the close. Now, I know all of you traders who make decisions by "touch" will say that in other cases the stock could have gone higher. To be honest, you are probably right. But in this game of trading where the only measure in my book is how consistently you book profits, Pete should be a-okay with gains slightly below his profit target of 1%. Once you are in a trade and things immediately go against you in the worst way, do not hesitate. Just as Pete has clear targets of how much money he plans to make, you also need to know when to fall on the sword. Below is an example where Pete was clearly wrong from the start. Notice how in the above chart the minute Pete put on the Apple trade the stock rolled over and went lower. As a trader you must have your stops ready to go if you find yourself in this situation. No matter how long you have been trading or how good you think you are, you must be prepared to cut a loser in a nanosecond. Before you enter the trade make sure you have a clear stop loss order if things go terribly wrong. 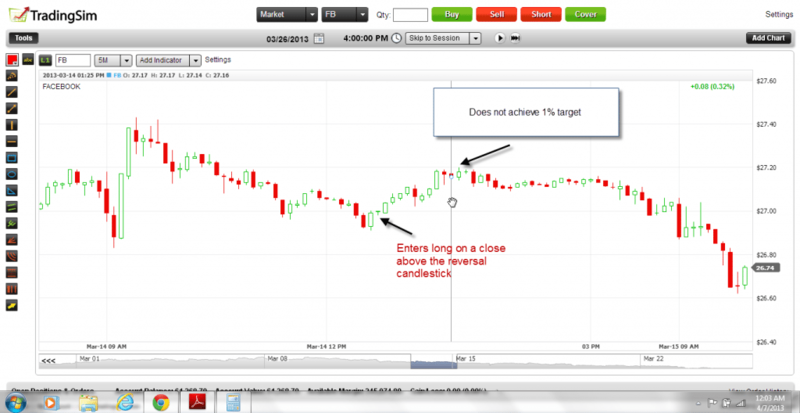 Make sure you have a profit target to exit the trade. Remember to factor in time if the stock initially acts appropriately but then things become a bit gray. This will tell you when you need to get off the bus. If you follow those three rules, you should not find yourself in a position where you are questioning when to sell your stock.